Michael Thiele is a top Ottawa injury lawyer and a founding partner of the Ottawa personal injury law firm, Quinn, Thiele, Mineault, Grodzki LLP, a law firm dedicated to protecting the rights of those injured in accidents in the Ottawa and Eastern Ontario areas. 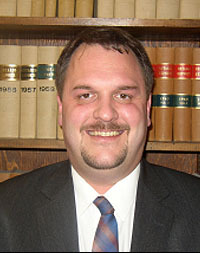 Mr. Thiele has a broad range of legal experience that is of great benefit to his clients. The primary thrust or focus of his practice is on personal injury law. He has presented before all levels of Court, including the Superior Court of Justice, the Ontario Court of Appeal and Administrative Tribunals. Every year in Ontario, thousands of people are seriously injured in accidents. Nobody starts their day thinking that they will be injured. Nevertheless, people are injured every day through no fault of their own. If you live or were injured in the Ottawa area, it is important to have an experienced, top Ottawa injury lawyer in your corner. Over the years, Michael Thiele has built a reputation as a top Ottawa injury lawyer and can help you and your family receive the financial compensation you deserve. Feel free to contact him for your free, no obligation, consultation at (613) 563-1131 ext. 226 OR e-mail: mthiele@ottawalawyers.com.